Similar to previous iPhone launches, preorders first went live on the dedicated Apple Store app for iOS, with Apple.com coming online shortly thereafter. The stainless steel iPhone XS and XS Max are available in the same silver and Space Black finishes seen on last year's iPhone X, but Apple is adding a new gold hue to the palette for 2018. Aside from a larger 6.5-inch OLED display and battery on the XS Max, the two handsets feature a largely identical array of components. Prices start at $999 for the iPhone XS with 64GB of storage and move up to $1,149 for 256GB model. This year's top-end 512GB version comes in at $1,349. The iPhone XS Max sells for $1,099 with 64GB of storage, $1,249 for 256GB and $1,449 for 512GB. Apple is launching the flagship iPhones in 33 countries and territories including Australia, Austria, Belgium, Canada, China, Denmark, Finland, France, Germany, Guernsey, Hong Kong, Ireland, Isle of Man, Italy, Japan, Jersey, Luxembourg, Mexico, Netherlands, New Zealand, Norway, Portugal, Puerto Rico, Saudi Arabia, Singapore, Spain, Sweden, Switzerland, Taiwan, the UAE, UK, U.S. and U.S. Virgin Islands. Preorders are schedule to arrive at customer doorsteps on Sept. 22. Apple is expected to have stock on hand at retail outlets located in the above launch countries that same day. Another 29 countries, including Andorra, Armenia, Bahrain, Bulgaria, Croatia, Cyprus, Czech Republic, Estonia, Georgia, Greece, Greenland, Hungary, Iceland, India, Kazakhstan, Kuwait, Latvia, Liechtenstein, Lithuania, Malta, Monaco, Oman, Poland, Qatar, Romania, Russia, Slovakia, Slovenia and South Africa will gain access to the new handsets on Sept. 28. Unveiled at a special event on Wednesday, iPhone XS and XS Max carry over Apple's iPhone X design language with a number of internal upgrades. A new A12 Bionic system-on-chip with next-generation Neural Engine powers marquee features like Face ID, ARKit augmented reality and Smart HDR photos. The Neural Engine, in conjunction with iPhone's 12-megapixel dual camera system and custom ISP, powers advanced photography functionality like Smart HDR, enhanced bokeh quality in Portrait Mode photos and a new dynamic depth of field feature. Apple also opened preorders for Apple Watch Series 4, the first redesign of the wearable since it launched in 2015. 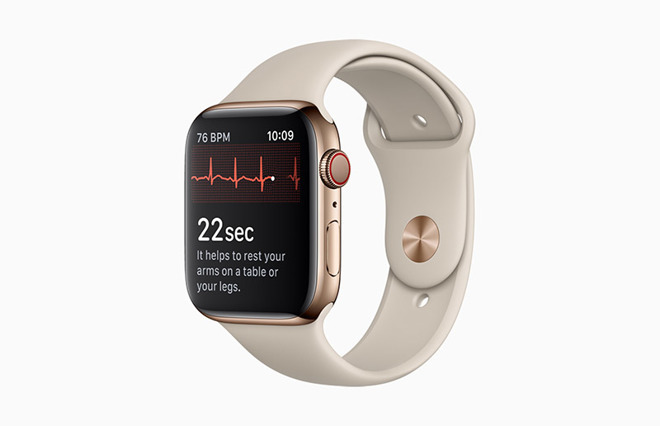 Along with a larger OLED display, slimmer chassis and ceramic back for enhanced radio transparency, Series 4 incorporates an all-new heart rate sensor and electrodes capable of taking ECG readings. Preorders for GPS-only versions of the device went live in Australia, Austria, Belgium, Canada, China, Denmark, Finland, France, Germany, Guernsey, Hong Kong, Ireland, Italy, Japan, Jersey, Luxembourg, Netherlands, New Zealand, Norway, Portugal, Puerto Rico, Saudi Arabia, Singapore, Spain, Sweden, Switzerland, the UAE, UK, U.S. and U.S. Virgin Islands. GPS+Cellular and Apple Watch Herms models are available in Australia, Canada, China, Denmark, France, Germany, Hong Kong, Italy, Japan, Singapore, Spain, Sweden, Switzerland, the UAE, UK and U.S., with more countries to be announced later this year. Orders are due to arrive on Sept. 21. Apple Watch Nike+ went up for preorder in Australia, Austria, Bahrain, Belgium, Canada, China, Czech Republic, Denmark, Finland, France, Germany, Greece, Guam, Hong Kong, Hungary, Ireland, Italy, Japan, Kuwait, Luxembourg, Macau, Monaco, Netherlands, New Zealand, Norway, Oman, Poland, Portugal, Puerto Rico, Qatar, Russia, Saudi Arabia, Singapore, South Africa, Spain, Sweden, Switzerland, the UAE, UK and U.S. on Friday, and are expected to arrive on Oct. 5. Apple Watch Series 4 with GPS sales will expand to Bahrain, Croatia, Czech Republic, Greece, Guam, Hungary, Iceland, Kazakhstan, Kuwait, Macau, Monaco, Oman, Poland, Qatar, Romania, Russia, Slovakia and South Africa on Sept. 28. For the latest Apple Watch Series 4 availability, prices and deals, make sure to check out AppleInsider's price guides. Update: A number of iPhone XS, XS Max and Apple Watch Series 4 models sold out in a matter of minutes. 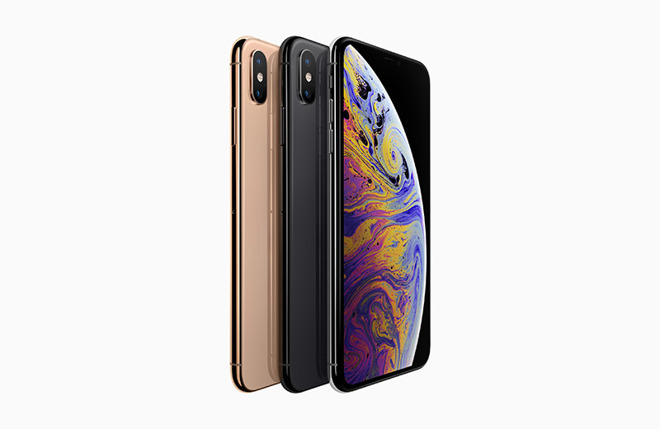 Launch day stock of silver iPhone XS models tied to T-Mobile and Verizon were gone in less than ten minutes, while a variety of iPhone XS Max models saw sellouts on AT&T. As of 12:30 a.m. Pacific, Sprint is the only carrier showing Sept. 21 availability for all iPhone XS and XS Max options. Apple Watch Series 4 saw similar stockouts, with Space Black stainless steel models selling out in less than five minutes. By 12:30 a.m. Pacific, all stainless steel models — save for the 40mm gold variant with Sport Band — showed ship-by dates pushed into October. Apple authorized reseller and AppleInsider affiliate B&H Photo is also accepting Apple Watch Series 4 preorders with no sales tax collected outside NY and NJ (see terms and conditions). At press time, the retailer shows an expected availability date of Sept. 21.